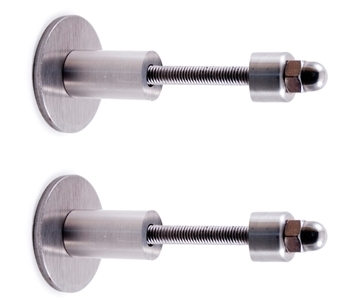 Pivotable Stainless Steel Pivotable Connector for 1/2" Bar w/ Set Screws Stainless Steel Round Bar 3/8" Dia. x 19' 8" Stainless Steel End Cap Flat for Tube 1 1/3" Dia. Stainless Steel Sphere 1 3/16" Dia. Hole, 31/64" Dia.